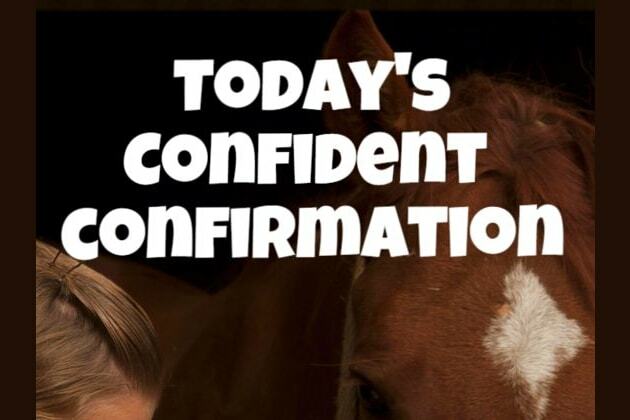 What Confident Confirmation Should You Use To Improve Your Life? 1. I sometimes doubt my dreams will ever really come true. Dreams? Psh who has time for dreams? Well, my dreams are pretty lofty and sometimes hard to imagine. I don't usually get what I want so it's not likely they will. My life is already just how I want it to be. Not yet but I am working on changing that. Other people prevent me from getting anywhere and I'm sick of it! My life is NOTHING like I wish it were. I have done amazing things in my life that I never dreamed possible. Not too many. I hope to do lots more with my life. I'm still planning great things. My life has been incredible and it isn't over yet! I don't get many chances to do stuff I want to do because money and time have been an issue. I often find myself struggling to make ends meet. Never! I have everything I could want and then some. Money comes to me from many directions and I have been blessed financially! I wouldn't be if people would stop taking me for granted and I had a minute to better myself, but I'm spread too thin. I have ups and downs, but I try to find ways to solve it and figure everything will eventually work out. Just one thing? It's hard to pick just one I want so much. I can have whatever I want, I'm not limited. A new home, a secure job, a car, a trip to an exotic place. Those things make me excited and sound magnificent! A day at the spa! Too few and far between. I need friends, a significant other, someone! I'm lonely a lot. Filled with love, laughter and great times! I get along with everyone. I don't have many relationships right now but I am friendly and caring to people and look forward to making new friends all the time. Not good. I find myself fighting with people a lot. When it comes to other people I have a lot of chaos and drama in my life. Sometimes I get scared of what other people will think of me. I care what others think but I try not to let it hold me back from doing what I need to. What other people think of me is none of my business, I'm gonna keep being me because I'm awesome! I never have gotten much praise from others so sometimes I think they don't like me much. Nope, life is an open road and I feel free to travel it with ease! I have hurdles pop up now and again but I usually knock them down or jump over somehow. I have a roadblock at every turn! I can't move it's like I stepped in super glue! Slowly. I never feel rested and I don't look forward to all that needs done. Thankful for a new day and hopeful things will work out well. Crabby and lacking motivation to do it all again. Ready to take the bull by the horns and make things happen! Believe in yourself! You are a force unlike anyone else, unique in how you maneuver through life and determined when your heart is really set on what you want. Trust that you can do anything you focus your mind on, that there is nothing impossible for you. Just keep telling yourself how in control you are and that you can handle anything no matter how difficult it may seem and you will have all you can imagine for yourself! Sometimes you forget what you already have in life, it's easy to do. We get used to having food, shelter, running water and forget how big those things are to us. But when we live in a state of constant gratitude we raise our energetic vibration on a molecular level and attract more great things to ourselves. Have you been living in a state of gratitude? Maybe it's time to remind yourself to wake up thankful for everything good you see around you. And them maybe, just maybe you will begin to see even more! Live in thankfulness and you will gain more to be thankful for! You have been getting ruffled easily lately. It's time to take a long hot bath, go on a nature walk, spend time unwinding with friends and let the Universe do its job. You can't be responsible for everyone else, you can only take care of you and in that you will radiate peace to those around you. Breathe, let go, and retreat for a while into a relaxing setting and then after you have rested, begin again. You will be so much better for it. Good things happen for you! You really have this manifesting thing down to an art, GO YOU! If you keep going down this sunshine and roses path you are on, you're sure to attract nothing but good things in your life from now on. Sometimes we have low moments in our thinking though, it happens to the best of us. Just remember miracles are always on their way to you. Stay open to allowing them and focus on the rainbows and not the rain clouds. You are on your way to greatness. Wait, what am I saying? YOU are ALREADY THERE! Way to go! You've heard of Daily Affirmations, right? A Confident Confirmation is a catchphrase you can repeat to yourself to help improve your life and keep you positively confident while securing your dreams!